Japan is one of modern country in the world that is still hold tight their own culture. Modernity will not disappear their culture. They are successful combining modernity and their own traditional culture. A little example can we found on elevated deck Japanese design. This deck style is designed with Japanese style touching. Usually this elevated deck is completed with railing. Looking at how they arrange their railing is wonderful. It’s not only building, but this is beautiful art work. Most Japanese railings are designed with low height from floor. This elevated deck Japanese design is also completed with unique roof design. Usually deck doesn’t use roof, but here on this Japanese deck style, roof is one of attractive element. But this roof is not for protecting from rain, because roof here is only woods cutting arrangement. 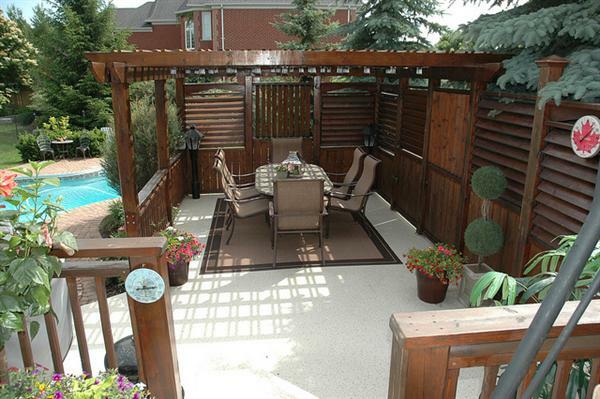 It has function to decorate this deck as decorative element. Sitting on this deck will give new atmosphere. Japanese traditional culture is very felt here. If on other commonly deck, deck is decorated with outdoor furniture , pillow, flower arrangement and so on like decorating a living room, so this elevated deck Japanese design is decorated like Japanese traditional house, where there are low table without chair and small bed for sleeping. It’s such as Japanese traditional house, but without wall and roof. If we want to feel drinking tea on Japanese atmosphere, so try to drink tea on this Japanese deck style. It will give new sensation. Several Japanese decks are completed with table, chairs and rug. But if we want to feel the real Japanese style atmosphere, installing low table without chair is good choice. Besides for gathering family and invite friends, this deck is also used for sleeping like on Japanese traditional house. This is unique and special deck. Last, this deck is also decorated with green plants on pot. 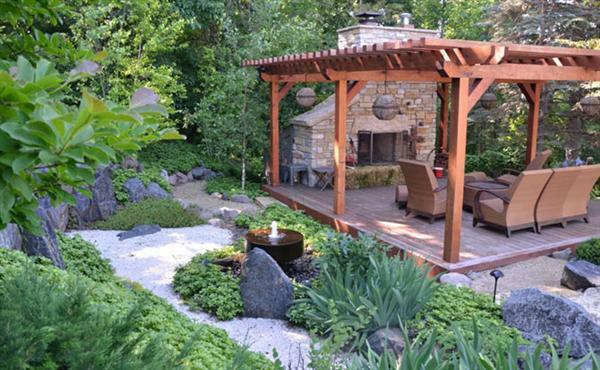 These green plants presence make this deck is felt more fresh and close to garden atmosphere. 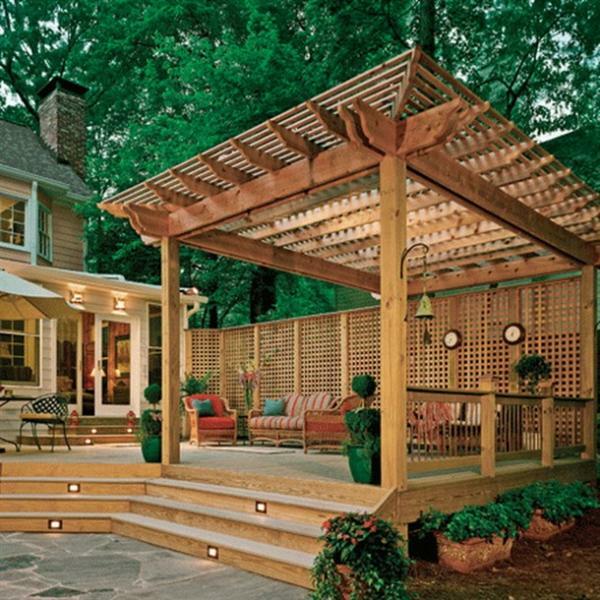 Need more great design ideas on Tips To Decorate Deck With Japanese Style? See our full gallery!